As fall approaches its good to have a couple of soup recipes on hand for those cold, snowy days that will be here before you know it. 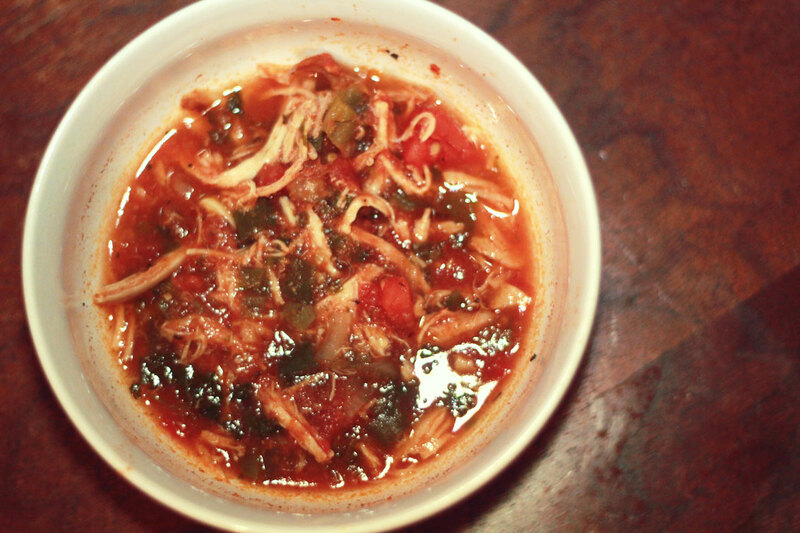 So with the cold in mind, Bachelor Cooking presents our very own Chicken Tortilla Soup. Shredded Chicken (from rotisserie) about 3/4 of the chicken. Heat the oil in a large pot. When warm, add onions, green onions (most but not all), jalapeños, cilantro (most but not all), and garlic. Add in the spices. Start with a little of each and then add more of the flavor you’d like. Remember: You can always add more, but you can’t take it back out. Mix well and cook on low heat for 10 min, stirring occasionally. Add the diced tomatoes and cook for another 10 minutes–stirring occasionally. 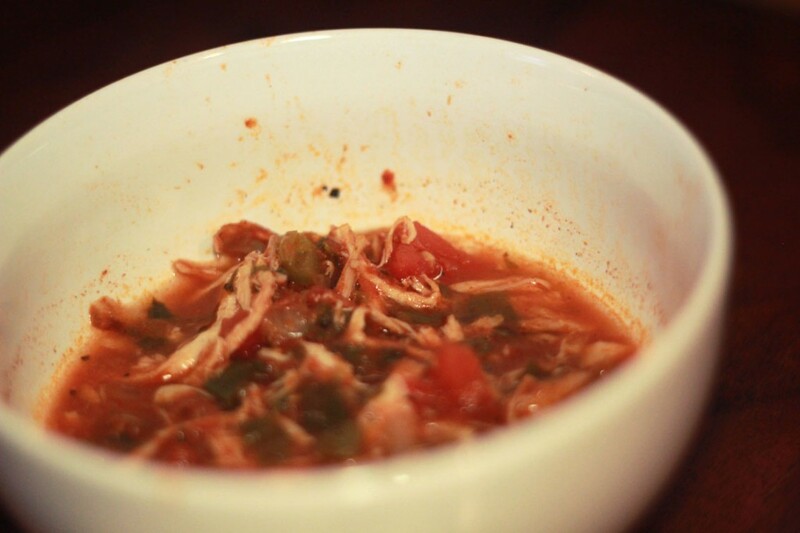 Add the chicken stock, tomato sauce, and shredded chicken. Bring to a boil and then immediately reduce the heat to low and let simmer for 10 min–stirring occasionally. Add the lime juice and take the pot off the stove. Serve hot with avocado slices, cilantro, green onions, lime wedges, and tortilla chips on the side. You can adjust the spicy level by adding more or less: jalapeño, cayenne pepper, and paprika. Lime Juice also helps cut some of the spice. Add more or less chicken stock to make it a thinner or thicker soup/stew. Give a bachelor some food and he’ll eat for a day; teach that bachelor to cook and he’ll eat for life.